Pellizar 133. Credit: O roxo Flickr, Creative Commons. Carbon dioxide emissions from the fuel burnt by fishing boats are 30 per cent higher than previously reported, researchers with the Sea Around Us initiative at the University of British Columbia and the Sea Around Us – Indian Ocean at the University of Western Australia have found. In a study published in Marine Policy, the scientists show that 207 million tonnes of CO2 were released into the atmosphere by marine fishing vessels only in 2016. This is almost the same amount of CO2 emitted by 51 coal-fired power plants in the same timeframe. "The marine fishing industry relies heavily on the use of fossil fuel and its role in global greenhouse gas emissions has been largely ignored from a policy or management perspective," said Krista Greer, lead author of the study and a researcher with the Sea Around Us at UBC. "Until now, the most comprehensive study of carbon dioxide emissions from fishing suggested that for the year 2011, fisheries released 112 million tonnes of CO2 per year from the combustion of fuel during fishing." The previous data implied that fisheries contributed only 0.29 per cent of global CO2 emissions, while the new study indicates that their contribution is almost twice that number. 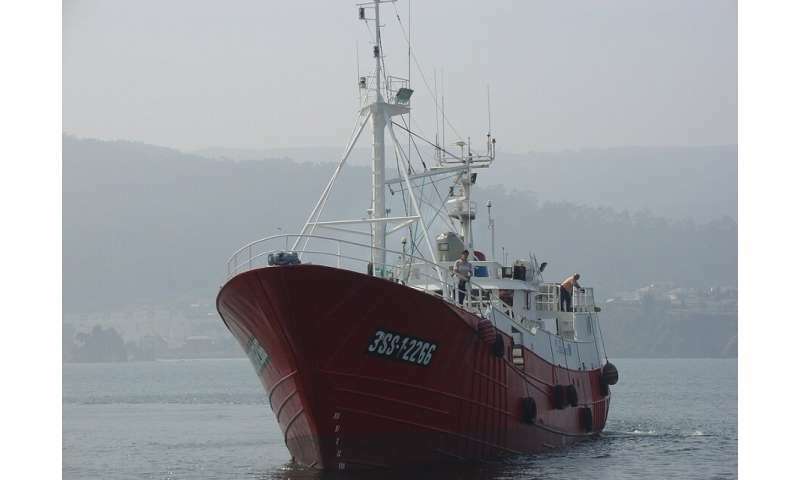 The higher values are largely due to the UBC-UWA research considering regional differences in fuel use based on fishing effort and the amount of fuel used to catch 30 million tonnes of fish that were not reported in 2016. 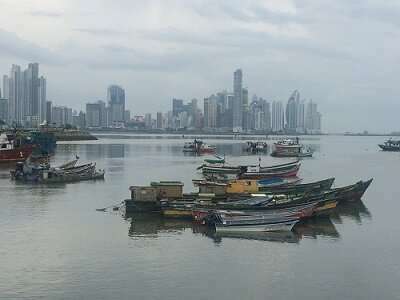 Artisanal fishing boats in Panama City. Credit: Valentina Ruiz Leotaud. To do so, Greer and her colleagues used the Sea Around Us' global catch and fishing effort database, which allowed them to calculate the amount of carbon dioxide emitted by each boat operating in each country's different fishing sectors, as well as the amount of CO2 emitted per each tonne of fish those boats catch, also known as emissions intensity. "We found that global emissions intensity for 2016, on average, was 1.88 tonnes of carbon dioxide, compared to 1.5 tonnes in 1950. This, despite the fact that marine catches have been declining since the mid-1990s. The emissions intensity of small-scale, artisanal and subsistence fleets has increased the most over the time period in terms of magnitude, but the industrial sector continues to be the greatest contributor to overall emissions," Greer added. In their analysis, the researchers also found that the emissions intensity started to grow in the 1980s. "Small-scale fisheries caught up with the industrial sector in this regard because artisanal and subsistence fishers began installing gasoline-powered engines on their boats. This means that there's a need to think of emission reduction strategies, such as switching to small diesel-powered engines in small-scale fisheries," said Dirk Zeller, co-author of the study and leader of the Sea Around Us – Indian Ocean at the University of Western Australia. According to Zeller, industrial fisheries also need to do their part by reducing their fishing effort, which is currently 3-4 times what it should be in order to be sustainable. This would not only allow for a reduction in CO2 emissions by industrial fleets but would foster the recovery of declining fish populations. The paper "Global trends in carbon dioxide (CO2) emissions from fuel combustion in marine fisheries from 1950 – 2016" was published in Marine Policy . No one talks about ships, everyone discusses cars and trucks. Check the ship tracker, there are ships everywhere on the planet where there are seas and oceans. Except countable number of nuclear-powered ships, all are fossil fuel based. Ocean transportation is a big polluter as well.